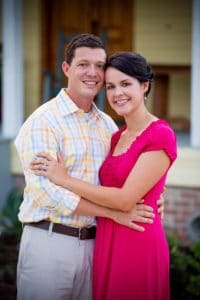 Mary-­Rose and Ryan Verret are the founders of Witness to Love and the authors of Witness to Love: How to Help the Next Generation Build Marriages that Survive and Thrive. Mary­-Rose is a featured presenter in the series “Doors of Mercy” released by St. Benedict Press for the Year of Mercy. Together the Verrets speak on issues regarding marriage, mercy, faith, family and fertility. Mary-­Rose has been interviewed by: The National Catholic Register, EWTN, The Catholic World Report, Catholic News Agency, The Gus Lloyd Show, Aleteia, and secular media outlets. Ryan completed graduate studies in Theology, Clinical Psychology, and Medical Ethics and worked for several years in the field of healthcare administration. Since 2010, Ryan has worked primarily in the development of legislative and educational efforts that develop the Culture of Life both in Louisiana and throughout the United States and Canada. Together Ryan and Mary-Rose speak on issues regarding evangelization, marriage, NFP, miscarriage and medical ethics. They are frequent guests on EWTN’s Catholic Radio for Acadiana and they reside in the heart of Cajun Country with their four children. Their passion is teaching couples to share their marriage with others! Mary-Rose and Ryan Verret noticed newly married couples were missing in many Catholic parishes. The Verrets began a seven-year process of interviewing over 400 engaged couples through their work at their diocese and later at their parish. During these hundreds of interviews, they realized that even the best marriage conferences, natural family planning classes, and their own parish’s extensive marriage prep course — which included marriage catechesis and mentor couples selected by the pastor — were not sufficient for success. The Verret’s discovered that what was needed was an authentic connection to parish life through the engaged couple’s choice of a mentor couple whom they knew and admired. Trust and existing relationships were missing in the standard marriage-prep mentor format. In creating Witness to Love they made a program that speaks to the everyday struggles and joys of newlyweds, while giving them parish lifelines of connection that last beyond their wedding day.